Description: If you have a static site, you have less options for forms. 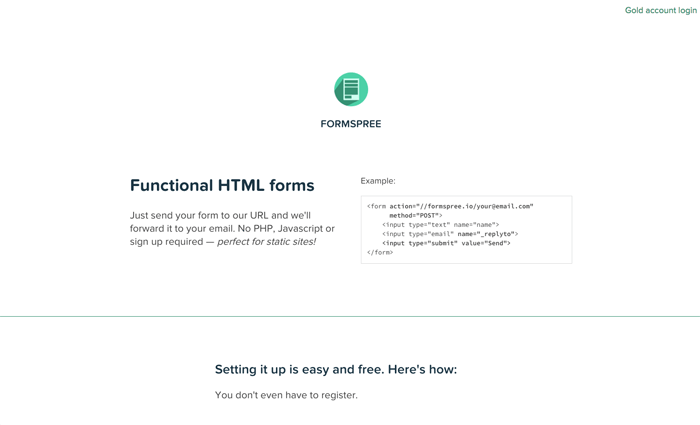 But Formspree is super easy to set up. Just add HTML code and you're good to go. They handle the actual transmission. It's not the most flexible system in the world, but it's quick and easy. It's what I am currently using on this site. It's easy to set up a honeypot, but there's no Captcha option unfortately. But it's free, which is pretty awesome. 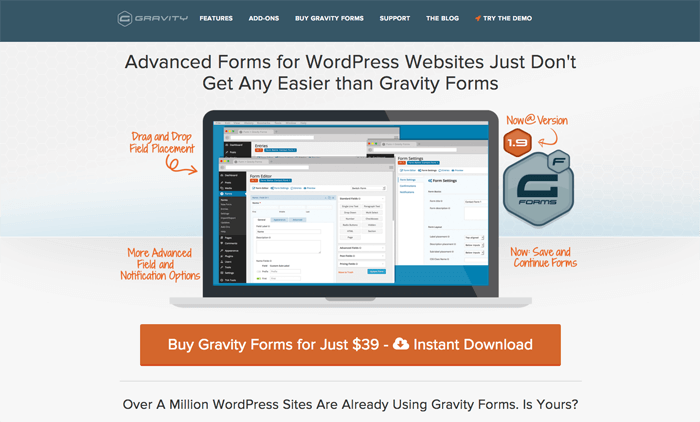 Description: Gravity Forms works off Wordpress, and if you have Wordpress installed anywhere on your domain, you can embed one of their forms in a static area of your site. It integrates with Zapier, which makes the possibilities endless for what you do with the form entries. I use it at Vacord Screen Printing to take the information from quote requests and put it as a card in our sales funnel Trello board. You can write that data to a Google Doc or whatever you need. It's worth the Developer license so that you can use it all your sites. 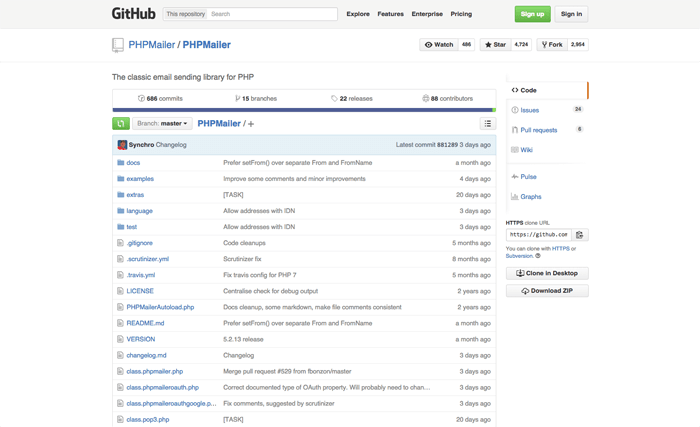 Description: I wanted to have a basic, classic PHP mailer in this list as an option, and this is a popular one on GitHub. Similar to using something like Formspree, PHPMailer is going to be both more flexible and also more complicated to set up. I don't really know PHP myself but I've been able to set these up before. Give it a shot if you need a form on a non-Wordpress site. Description: I haven't set one of these up personally, but I've used them plenty to give feedback. They're gorgeous. 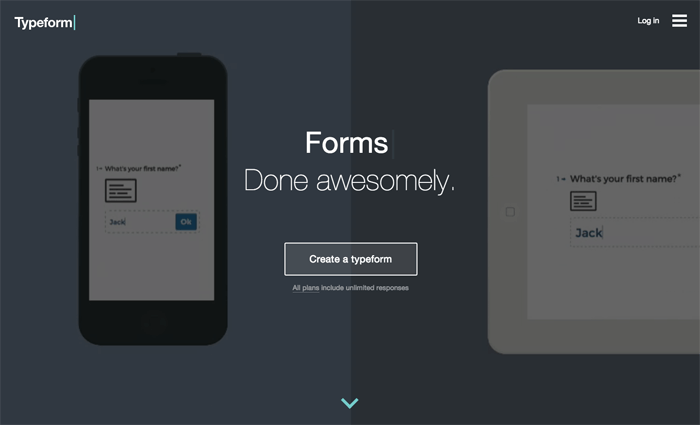 Typeform simply creates elegant, dynamic forms that can change depending on what responses are given during the process of filling out the form. And it works with Zapier, so you can take that data and send it to Slack or Mailchimp or wherever your little heart desires. Description: A form backend that turns forms into conversations.